The Washington Post gave Sen. Bill Nelson (D., Fla.) "Four Pinocchios," its highest level for a falsehood, for his claim that Florida's elections systems are currently under siege by foreign entities and that Russia has access to voter rolls in Florida. Nelson made comments to reporters before a campaign event and in an interview with the Tampa Bay Times on Aug. 8 about Russians hacking into Florida election systems and purging voters from rolls. When asked by the Times' Steve Bousquet if Nelson meant Russia was meddling in Florida's systems in 2016 or "right now," Nelson responded "right now." He further said Russian operatives "already penetrated certain counties in the state and they now have free rein to move about." The Florida Democrat continued to speak about the issue at a campaign event on Tuesday. "In June, the chairman of the Intelligence Committee, a Republican, and the vice chair of the committee, a Democrat, Senator Burr and Senator Warner, came to Marco Rubio and me and said: ‘We have a problem in Florida, that the Russians are in the records. We think the two of you should warn the election apparatus of Florida.’ "
Nelson has not been able to back up his claims with evidence, however, and he appeared to backpedal slightly Wednesday on some of his more specific claims, saying instead it would be "foolish" to think Russians "are not continuing to do what they did in Florida in 2016." The Post fact checker Salvador Rizzo noted top officials have questioned the basis for the senator's claims. The Department of Homeland Security, the top election official in Florida, and election officials in several of the most populous counties in the state have said they have no evidence that Russia has access to Florida election systems. Nelson said his information came from Sens. Richard Burr (R-N.C.) and Mark R. Warner (D-Va.), the chairman and vice chairman of the Senate Intelligence Committee. 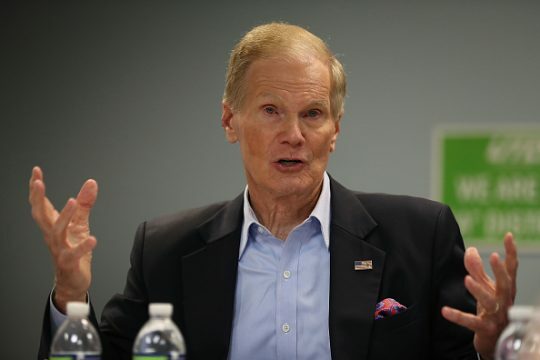 Neither senator has confirmed Nelson’s specific claim that Russia has access to Florida’s election system, though they have echoed his broader warning about the threat Russia poses to this year’s elections. Nelson also has cited "classified" information. Although it’s possible that this information exists and proves his claim, it’s a tough proposition for The Fact Checker to accept, since the Department of Homeland Security has denied Nelson’s assertions, the FBI said as recently as Aug. 2 that there’s no sign of "efforts to specifically target election infrastructure," and U.S. officials probably would have shared this classified information in some form with the state of Florida, where election officials have contradicted Nelson’s claims. Rizzo explained that while the Post doesn't take issue with Nelson and Sen. Marco Rubio (R., Fla.), in the July 2 letter, warning "Florida election officials to be on high alert for Russian cyber-intrusions," Nelson's "specific and alarming claim[s]" are another story. He said there is not "a single speck of evidence" to back up the claim that "Russia currently has access to Florida’s election systems and could purge voters from the rolls." In his letter to Burr, Florida’s top election official said the state asked DHS and the FBI whether Russia had access to Florida’s election systems and was told "they have no information that corroborates Senator Nelson’s statement." Burr replied that "any briefings or notifications about ongoing threats would, rightfully, come from those agencies," meaning DHS and the FBI. Reading between the lines, Burr seems to be contradicting Nelson’s claim. Making matters worse, Nelson misquoted his own letter from July 2 several times (it made no mention of an ongoing breach) and inaccurately said Burr, Rubio and Warner reaffirmed his assertion that Russia has access to Florida voters' records. "Without minimizing the threat of Russian interference in this year’s elections, we give Nelson’s claim Four Pinocchios," the Post concluded. Nelson is being challenged for his Senate seat by Gov. Rick Scott (R.), and most polls show Scott in the lead. The governor responded last week to Nelson's claims by saying elections "are not something to try to scare people about." "In our conversations with federal officials, and in public statements including from our supervisors of elections, so far, no one seems to know what Nelson is talking about," Scott said in a statement. "This cannot be swept under the rug. Bill Nelson must come clean and provide a thorough explanation. Elections are not something to try to scare people about." This entry was posted in Politics and tagged 2018 Election, Bill Nelson, Fact Check, Florida, The Washington Post. Bookmark the permalink.